We’re rolling out the (Lyme) green carpet to showcase a new tickborne disease prevention short film series at the Ridgefield Playhouse. 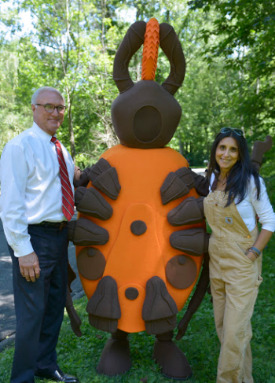 Spray Safe, Play Safe: Tick Control Gets Reel, was created by a team of experts to help New England families make informed choices about managing ticks in their backyards. These short films answer frequently asked questions about backyard tick management, with special emphasis on safe and effective use of pesticides for tick control. Bring the whole family for a barbecue, giveaways, tick control information, photo ops with Fran the Tick, and more! Order your free tickets here. Tickets are required and will be emailed to you. The Spray Safe, Play Safe short film series, funded by a Healthy Communities Grant from the US EPA, was created by the Tickborne Disease Prevention Laboratory at Western Connecticut State University and the Ridgefield Health Department’s BLAST Tickborne Disease Prevention Program. 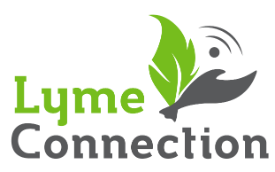 This Ridgefield Playhouse video premiere family event is sponsored by Western Connecticut Health Network and Lyme Connection.